It is easy to fall into the TV trap after school. After a long day of work, school, taking care of young children and household needs, it is easy to plop ourselves down in front of the TV and let our minds shut down. But, these after school hours are critical for developing family bonds, fostering friendships, and extending the learning process beyond the classroom. Beyond the extracurricular activities you may already have your kids involved in, what else can you do with this time? In a society where obesity is on the rise, sedentary lifestyles are the norm, and fast food restaurants are on every corner, we need to take action to keep our kids healthy and help them to understand the importance of healthy decisions. Use the after school hours, when you may already have meal prep duties, to involve your kids in the process. Teach them how to plan meals, make grocery lists, do the shopping, and adhere to a budget. Involve them with the cooking process, teach them how to make simple meals, and hand over some of these responsibilities to older children to foster independence. Take it up a notch by exploring local farms and farmers’ markets. Pick your own vegetables and fruits. Gather eggs and see where your meat comes from. Take cooking classes as a family. Try doing things from scratch like making your own bread, pasta, or cheese. These are all fantastic learning experiences for your kids and help the whole family learn to appreciate food and healthy choices. Use those afternoon hours after your kids have been stuck at their school desks to participate in physical activity and stretch everyone’s muscles. Start little family competitions in the backyard or driveway every day after school. Jump rope competitions, basketball shooting games, or just play catch. Make a plan to visit all of the parks in your county to see what each has to offer. Do suppers outside to encourage activity and plain old breathing-in of fresh air. Join your local YMCA or fitness center and see what fun family activities you can do together to stay active. Check out local running, hiking, or biking clubs and enter events or races. Sewing is a life skill not taught in most schools anymore and is not a skill that every adult these days has mastered. Many adults don’t even know how to fix a hem or sew on a button. Even those who have mastered basic and even advanced skills have new techniques to try and learn. Take classes at your local fabric shop, use the internet to find tutorials for basic skills, find a neighbor who is crafty to come over and teach you new things. Make a point to master basic mending skills or learn how to knit a scarf for the coming winter. Laugh with each other as you make lots of mistakes and have to redo endless stitches. These kinds of skills are for everyone, not just the girls. They are great ways to learn perseverance and promote family bonding. Even if your family is not the von Trapps, you can still make music together. Perhaps your kids are already in lessons. How about you? Can you take up an instrument or revive dusty, old skills? Perhaps you can all learn a new instrument together. Many music shops have group classes for ukelele, guitar, or drums and welcome families to participate together. Or, hire a teacher to come to your home for family classes. Maybe lessons sound to intimidating. Make a plan to go to local concerts and experience a variety of musical styles. Perhaps you have a large concert venue or symphony orchestra in your town. But, even your closest colleges and universities and many churches will have concert series with local musicians as well as visiting artists. You can experience many different genres of music, including world music, and these concerts are often for free or for a small fee. You would be surprised what interesting things are happening in your backyard. Find ways to appreciate the world around you with your kids. With little ones, take nature walks and check out your local park district science programming. With older kids, get science kits, or peruse the internet for fun experiments on a variety of topics. Go to the library and help your kids find out answers to all of their endless questions. With teens, watch TEDTalks as a family and discuss the ways science impacts our daily lives, our politics, and their futures. Find unique ways to learn new things together as a family after school. Look for ways to experience how awesome our world is and awesome you are as a family. Even 30 minutes a couple of times a week will lead to fantastic memories and family bonding. Want more? 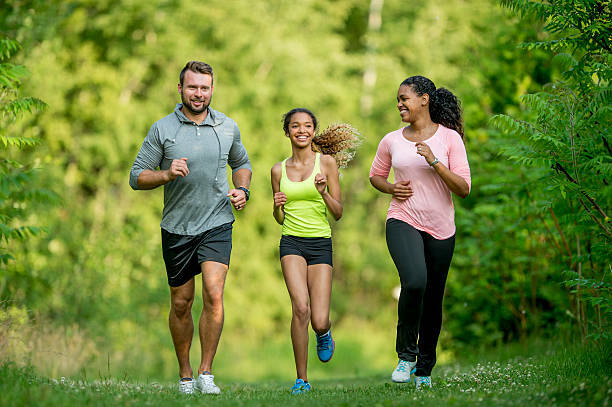 Check out these tips on making family fitness part of your everyday routine.